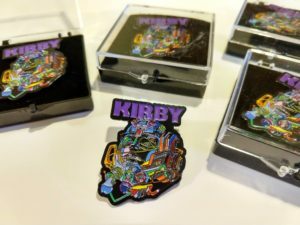 Who doesn’t want a 1 3/4″ Kirby Galactic Head soft enamel pin? C’mon! It comes in an acrylic case and has a black rubber clutch.